We have strong partnerships that stretch across multiple business sectors including (mobile and remote) connectivity, billing and payment, off-grid electrical power and smart agri techniques. Our Customers can directly benefit from our existing and potential cross industry partnerships. In addition to physical presence in Tanzania, Dubai, India, The Netherlands and Sweden, Green A&E has true global coverage and immediate access to technical and non-technical resources in more than 120 different countries through independent but loyal partners and associates. Many initiatives do not get off the ground due to issues regarding size (too small or too big), a risky combination of factors (techniques, parties, funding, skills) or because they require new forms of cooperation (e.g. payment systems linked to end-users). We welcome customers to discuss such projects with us. We may have a solution ready to go. The Green A&E focus is on Green Economic Growth: A mission based on the implementation of an effective business strategy to ensure sustainable commercial growth without overexploitation of natural (non- renewable) resources and cultural capital. Just words? 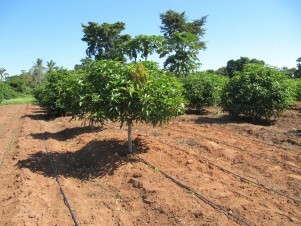 Come and visit us at Bigwa Farm near Dar es Salaam (Tanzania). At Green A&E we understand that in order to deliver a valuable product or service we must be able to analyze the full value chain first. All solutions can be seen and tested at our Bigwa Farm. Customers who want to bring in their own solutions are welcome to use Bigwa Farm as a test facility. Green A&E offers comprehensive and flexible support agreements with guaranteed service levels but also service-level flexibility if desired. Pricing is fair, clear, transparent and consistent and most important NO HIDDEN COSTS. Because we believe in our knowledge and skills we can guarantee the quality of our service and typically provide two (2) months standard warranty on each new service implementation. Moreover we guarantee a working system because Green A&E always delivers. Standard conditions apply. Green A&E’s core business is the integration and implementation of applied technology. At the same time we have the wish of being technology neutral. The reason? Most people prefer solutions which are close to that what they already have or know. Green A&E promotes solutions that are “sustainable, maintainable & simple”, solve the problem for years and always match the Customers’ specific demands. Green A&E maintains international (technical and business) standards. Green A&E has adopted the Code of Conduct for Ethics and Good Business Practice. We are a debt free company with decades of international experience. Green A&E is driven by the Believe & Vision that deforesting, dehydration, pollution and other common big problems (and not only in Africa) can be combated by taking away the reasons for such problems. Hence through lowering unemployment, increasing knowledge & awareness, introducing simple smart affordable technologies and through offering better, cheaper and more sustainable alternatives for the traditional solutions. Green A&E offers affordable off-grid electrical power services & solutions based on renewable energy sources. Our Energy Solutions are simple, robust and designed to be reliable. 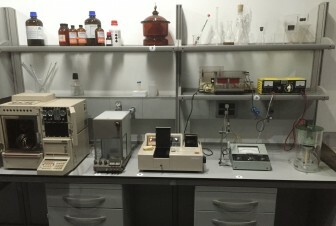 Green A&E has invested in a professional water and soil test laboratory including sensitive digital pH meters, spectrum photometers and a proper reporting system. Green A&E offers this service to the public in the greater Dar es Salaam area. Green A&E offers varying levels of consulting engineering and integration for systems and sub-systems related to energy systems, wired and wireless networks including satellite (VSAT) communications networks. We don’t sell hardware – we sell a solution to a (power) problem. Green A&E is eager to help respectable foreign businesses setting up a (legal) presence in Tanzania, The Netherlands or the UAE. Furthermore Green A&E can help foreign businesses to enter the respective markets efficiently.